Take the guesswork out of ad creation. 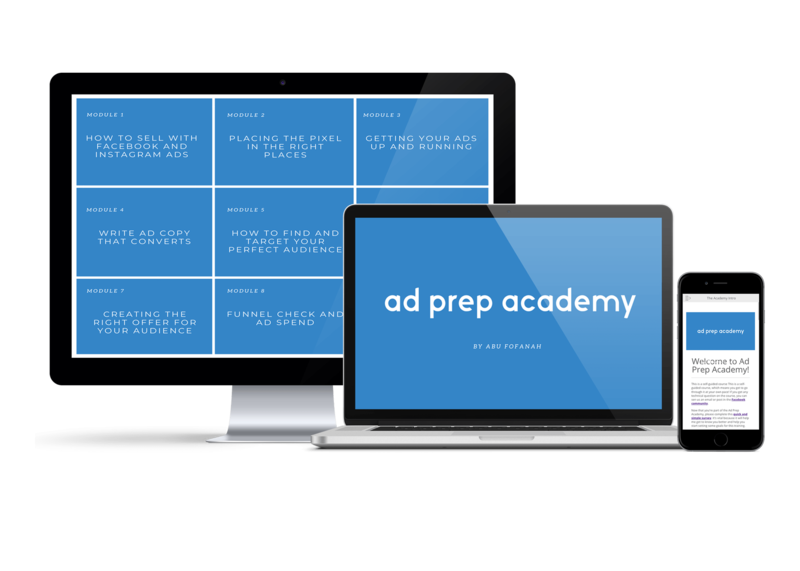 Whether you’re starting from scratch or have been running Facebook ads with no real results, Ad Prep Academy tells you where, when and how to start driving traffic to your product or service today. 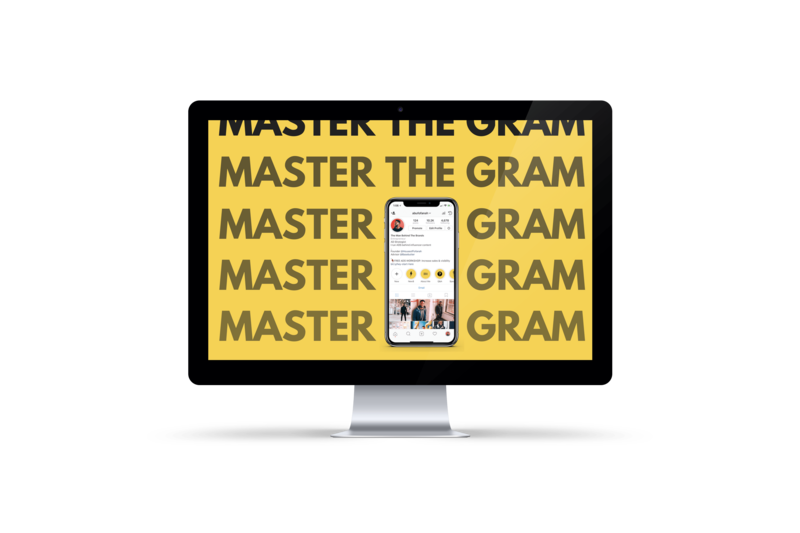 An Instagram masterclass for those who want to take advantage of Instagram for their brand. Learn how to develop a strategy to be successful, increase traffic to your website, expand your brand visibility to new audiences, and get your product/service in front of your ideal customers. Narrow down your business ideas by finding your passions will help you build a business you love. But it’s easier said than done when you have a million business ideas dancing around your head at any given time. Most great ideas are stuck in this stage; the stage of thought but no implementation. Learn how to focus on a single idea and how to make money doing the things you’re already good at! Ready to start your first business? Once you have your idea it doesn’t have to be overwhelming and confusing to get started. To ensure that you’re starting on the right path, we’ve compiled a proven sequence of steps you can follow to guarantee your success when starting you’re ready to launch! Somehow you always find yourself involved in nearly every aspect of your business — from marketing to fulfillment to accounting to website design. I get it, you wants to create a profitable business. But instead of working on your business, you end up spending most of your time working in your business with a go-all-out, hands-on approach. When it comes to growth and scale, this hands-on approach won’t work. What you need is a way to leverage, and a way to scale. This course will help you automate the easiest processes first, building a culture within the company that embraces “automation” and focusing on one process at a time. While every business has things that need to get done, we also know that not all of those tasks are income-producing ones. If time is money, you need all of that time you can get. Start in our Business Prep academy to learn how to automate, streamline, and grow your business.